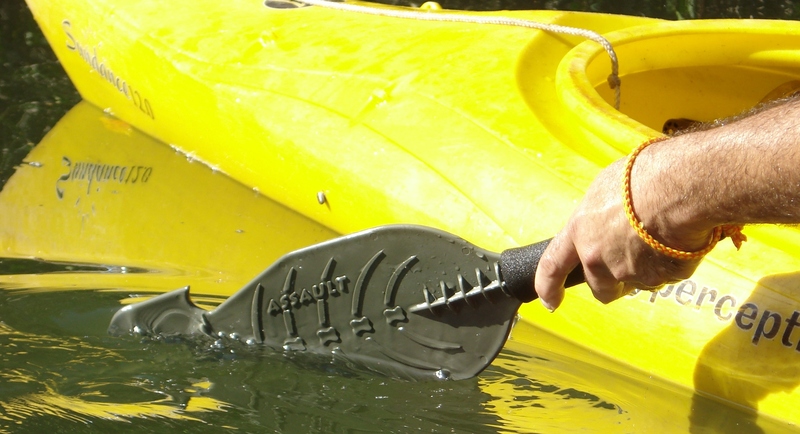 As Backwater Paddle Company continues to grow and evolve, new paddle sites come online desiring to promote our products and company. Any promotion about your products and company is worth its weight in gold. 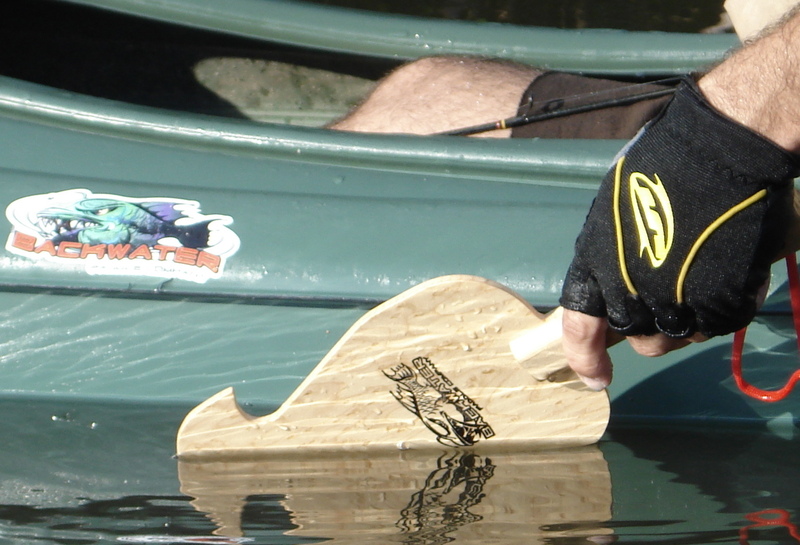 Nothing beats target marketing than having an endorsement from fellow purveyors in your field, in this case, paddle sportsmen and paddle enthusiasts. Nevertheless, you still want good representation for your company, as ultimately, your name is tied to your product. 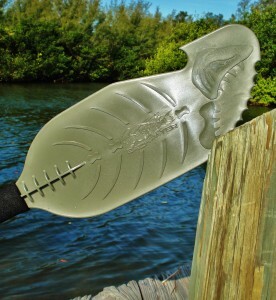 The site Native Paddler, from Barb Langford residing on the west coast of Florida, is the latest site becoming involved with Backwater Paddles. Barb, or Paddle Gal as she is affectionately called, recently put together this awesome site for the paddle sportsmen and enthusiasts in and around Florida. 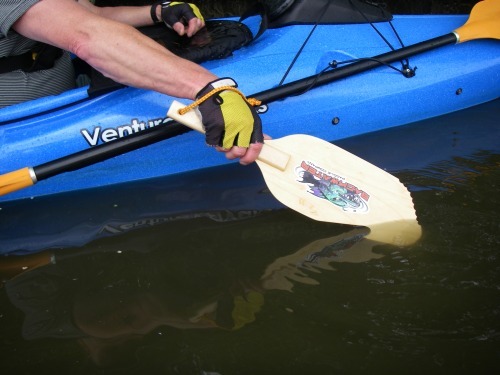 The Native Paddler site provides weather reports, tide charts, fishing reports, tournaments and dealerships for the Florida paddle sportsman or sportswoman. Where has this site been all along?? 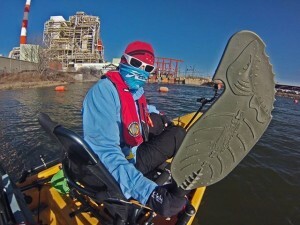 I went over to the “left coast” of Florida, as we Florida east coasters have denoted the west coast side, to have a chat and visit with Paddle Gal. 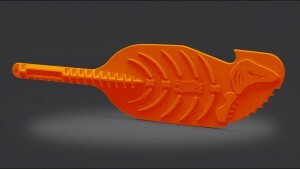 She was interested in becoming a sales rep/dealer/distributor for Backwater Paddles and our products. Just being 2 – 1/2 hours away, the trip over was worth the time I would have spent sitting in my office, plugging away at my computer, wishing I was outside paddling somewhere. Barb and I went for a paddle through Clam Bayou outside Boca Ciega Bay. It was a quiet, overcast day, with wildlife in abundance. We checked on the progress of some ecological rehab work being done in and around Clam Bayou. Clam Bayou is a classic native mangar, thriving with all the natural species of plants and animals you could want to locate and identify. 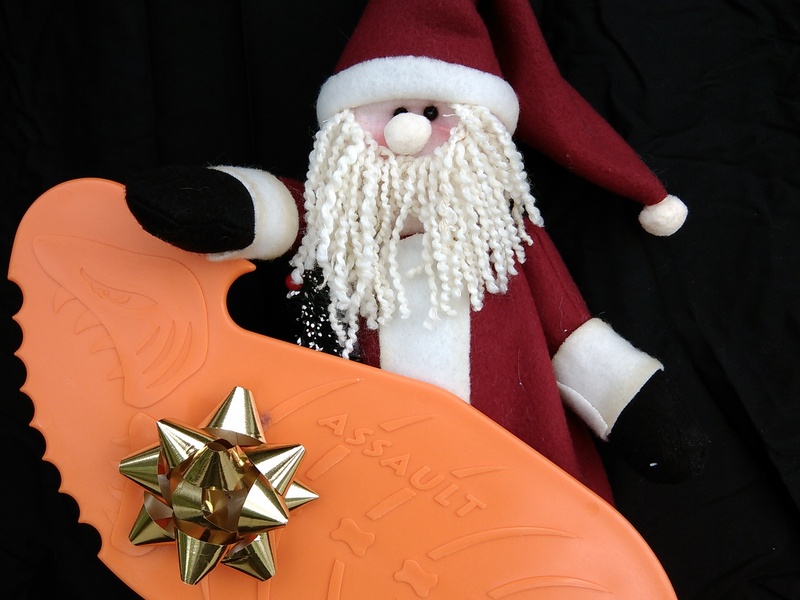 As this was a semi-business trip, I brought along one of Backwater Paddles proof of concept/prototype Raptor Kayak paddles for Paddle Gal to beta test and provide some future feedback. 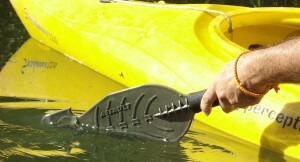 Paddle Gal took to the Raptor, like a fish to chum….maybe not such a good metaphor?? All in all, except for the trip back to the east coast (traffic jam for 50 miles) it was a great time and certainly a pleasure to have met Barb. I look forward to bringing Paddle Gal onboard the Backwater Paddle Team. 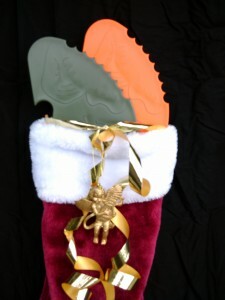 Visit www.nativepaddler.com to procure all the necessary information you need to have a great fishing or paddling trip around the great state of Florida. Again, for all you Florida anglers and paddle sportsmen, be sure you check out the Native Paddler site before heading out!! There is a plethora of information on that site that will make your next adventure even more awesome! 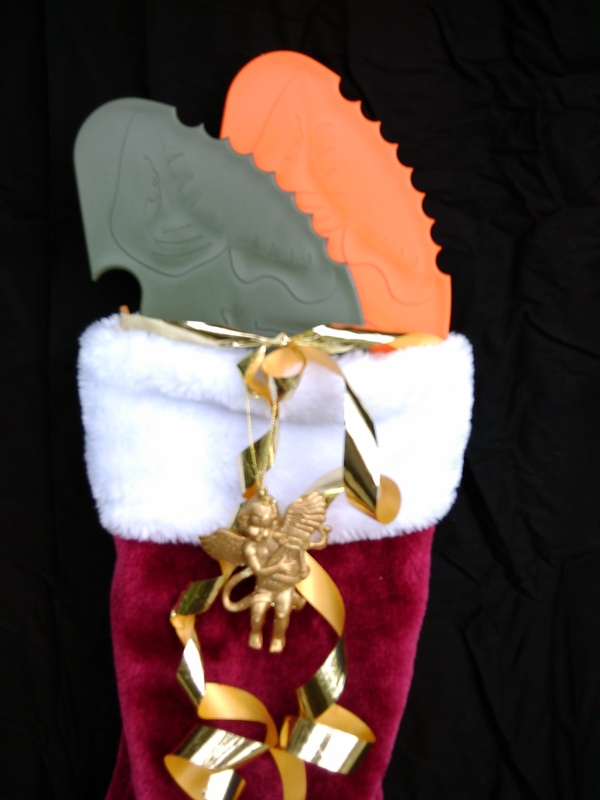 This entry was posted in Backwater Paddle Products, Marketing My Company and tagged Backwater Paddle Company, fishing, kayak fishing, kayak fishing hand paddles, kayak paddles, kayaks, Native Paddler on January 25, 2011 by Paddleman.